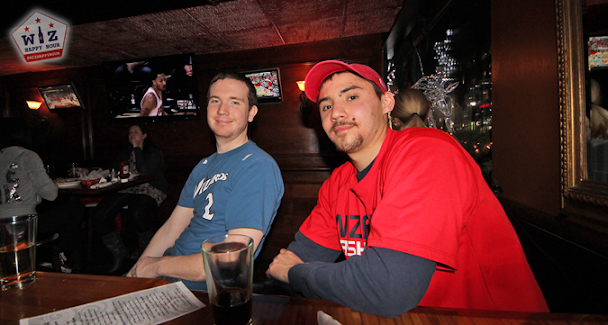 We gathered around a bar table by the television and cheered as our Washington Wizards layed the smacketh down on the Chicago Bulls while partaking in some super cheap beer and cheap but delicious food. 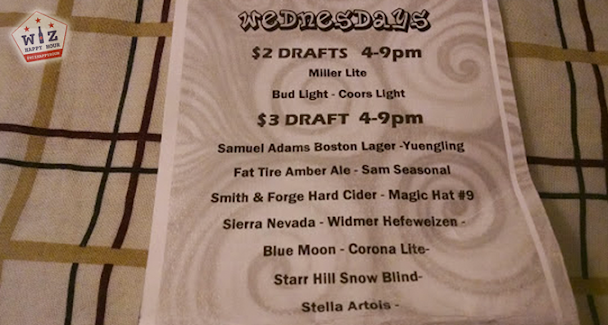 At Mister Days, the happy hour gives you three tiers of beer to choose from at $2, $3, or $4. The cheapest selections are the classic domestics like Bud Light. 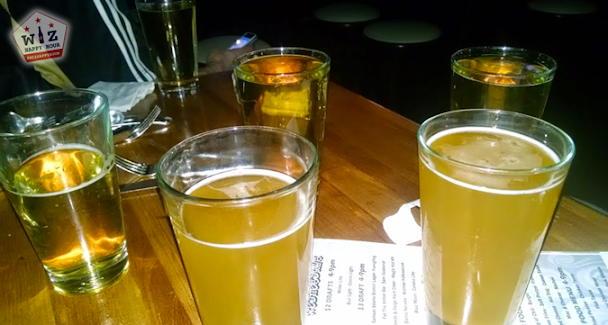 The $3 choices are the domestic craft beers, like Blue Moon. And the $4 choices are other smaller craft brews from Dogfish Head and DC Brau. I was sipping on Widmer Hefeweizen all night ($3) but most of the crew wanted to maximze their dollar value. 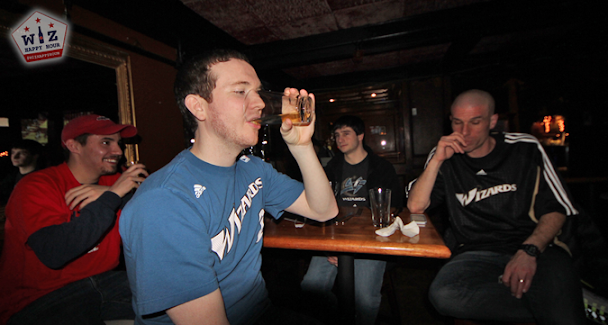 It was Bud Light's all around. Then, as you do when there is an awesome special, at 8:59pm when the happy hour clock was about to strike midnight, everyone ordered 2 more beers to last us almost through the rest of the game (late 8pm game start time). 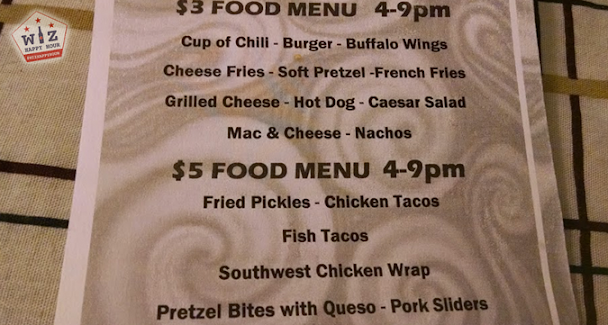 The $2 beers is a great deal, but the $3 food choices make this worth the trip on a Wednesday night. 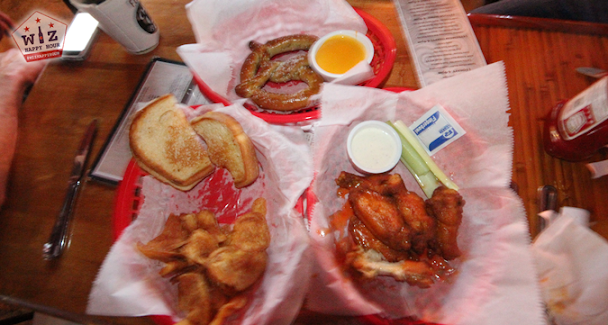 I ordered the soft pretzel, the chicken wings, and a grilled cheese sandwich and it was not just super filling for $9, but also pretty delicious (lol its hard to screw these items up). Other items the group ordered included the Caesar salad and the hamburger. Good beer drinking foods. ($4 items are also available). If you have never been to Mister Days, they have literally one billion TVs. 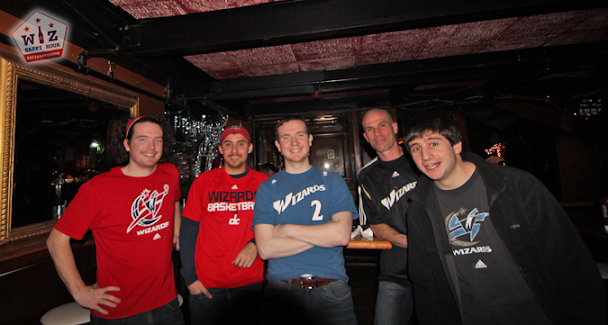 On this particular evening 70% of them were on Maryland Basketball, 20% were on the Caps, 6% were on random college bball games, and 2 whole televisions (after we requested they put the one near us on) for the Wizards. 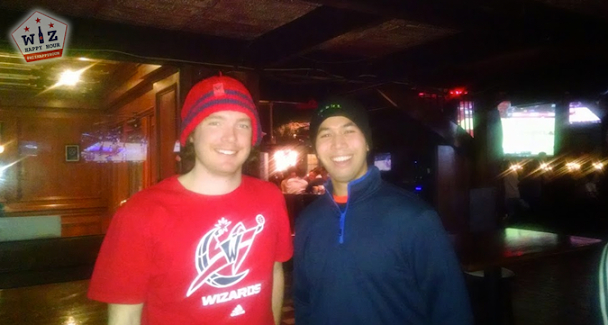 The waiter told me he hasn't had a single person request the Wizards game before us. 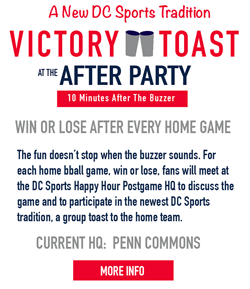 We were clapping and cheering (as we do at Wiz Happy Hour) for all the great plays the Wizards were making, and people at the bar were wondering what was happening. 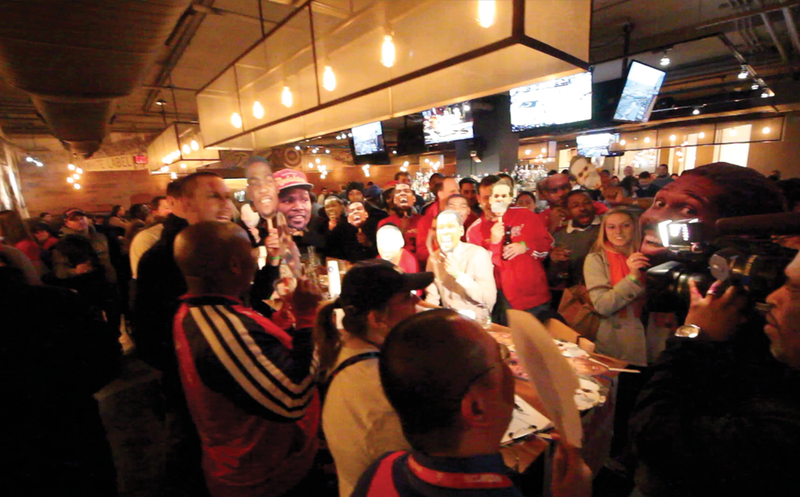 Then the Caps scored a goal and not a single person in the completely full (every table) bar made a peep. The only cheering was from the Wiz section. By the end of the game we had an entire section of the restaurant and we were pacing around, high fiving, screaming, cheering, and screaming "DAGGER!" It was another great time. I love Wiz Happy Hour. Hope you can make it out sometime!